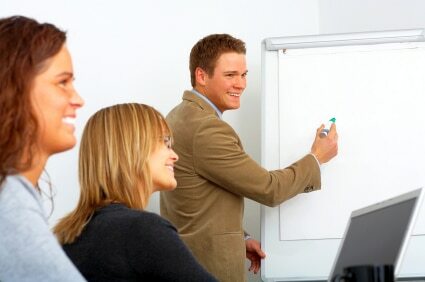 Benefits of Training Providers | Why Hire External Training Companies? There are a number of benefits gained from using an external training provider compared with using an in-house “expert”. For example, external providers can often offer a greater breadth of experience, as they come from outside a firm, and hence will have experience of other ways of thinking and doing, and so will be better equipped to challenge any entrenched attitudes that are present in your staff. Furthermore, external providers may have a greater depth of knowledge in particular specialisms, thus making them able to offer a more detailed and nuanced training experience compared with an in-house provider. It should also be recognised that external providers are usually more flexible in scaling up or down the volume of delivery, with a variety of training packages available; ranging from short one-off training days aimed at smaller groups, to courses that span multiple sessions that are designed with larger groups in mind. But perhaps the most important benefit is that using an external training provider will usually ensure that the person(s) delivering the training will possess the relevant set of skills required to train effectively. It’s important to remember that leading a training course requires a special set of skills that in-house staff may not have: just because someone is a great manager or an in-house expert does not mean that they are necessarily a good trainer. While there can be many benefits to using external training providers, it should be noted that doing so is not always cost effective. External trainers will typically cost more than internal trainers, and while this may be a worthwhile investment due to the factors outlined above, costs will nonetheless factor into any decision regarding training. For example, some external trainers will want their travel expenses and accommodation paid for, particularly if they are travelling from farther away. Additionally, costs can vary depending upon the length of course: typical costs for a one-day intensive short course can be upwards of £500, although certain institutions that provide courses (such as the Chartered Institute of Marketing and the Charted Institute of Personnel & Development) offer discounts to individuals or groups who are members of these institutions. Reed Learning, which offers courses in a range of areas, including in time management, negotiation skills, leadership, stress management, effective communication and marketing. Charted Institute of Marketing (CIM), which is one of the world’s largest organisations of professional marketers, offering a range of courses that aim to raise the standard of marketing around the world. Chartered Institute of Personnel and Development (CIPD) is an association for human resource management professionals that offers a wide range of courses designed to develop the skills of personnel. Hemsley Fraser, a global organisation committed to innovation that offers robust learning solutions. 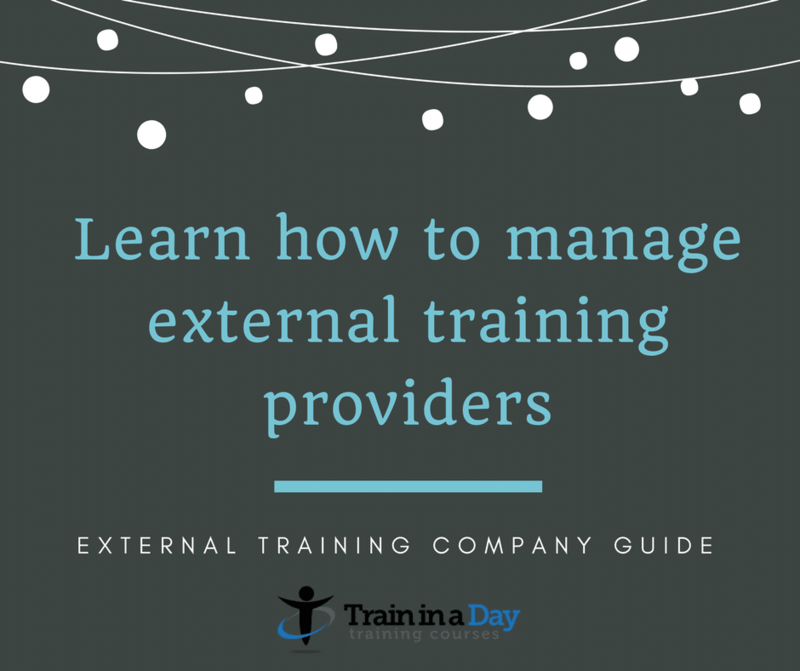 If you do your research, and find a quality training provider it is highly likely that your organisation as a whole, and your staff as individuals, will greatly benefit from utilizing an external training provider. Once you have defined your training needs, the next step is to search for an appropriate training provider to meet those needs. Naturally, your first port of call may be your current training provider – having them fulfil your training needs could be advantageous as they will already have an existing knowledge of your company and trainers may already be known to your staff. However, even in situations where your company has used a particular training provider for an extended period, it is always a good idea to look elsewhere as other providers may be better equipped to meet your needs and may offer more competitive prices. If you want to guarantee the maximum return on your investment in training, you should always be looking at other providers in addition to consulting your current one. Searching for new training providers can sound like a daunting and time consuming process, but it really doesn’t have to be. Before you begin your search, first make sure your needs have been identified and also ensure that you have given due attention to your training limitations; i.e. the restrictions and factors that could make training choices less effective. ● Travel restrictions. Has your company banned overnight travel? ● Location restrictions. If your premises are unsuitable for hosting a trainer, you will need to find a provider that has its own or that is willing to travel to a third party location. Once you have clarified your needs and your limitations, it’s time to get searching for a provider. Aren’t sure of where to start? Simply Googling “training provider in (insert your area)” can be a good place to begin, or alternatively you can search for a few key terms that you’ve identified from your training needs analysis, e.g. “ACT database training”. Another effective way to identify the right training provider for your company is to search some of the key training provider directories, such as TrainingZONE, to see what is available. Additionally, you may wish to attend trade fairs where providers will be present, such as the CIPD exhibitions, to discuss your needs face-to-face with potential providers. One final way that you could find a provider is by seeking recommendations from people in your sector. In fact, recommendations and reviews in general are vital for finding the most effective providers; whether you find a potential provider through doing a Google Search, through TrainingZONE, at an event or expo, or through a recommendation from a colleague; you must ensure that you seek out online reviews and client testimonials to get a feel for what people are saying about the quality of your marketing training provider. You don’t want to end up with a provider that promises a lot, but fails to deliver, and testimonials are the surest way to safeguard your return on investment. Always remember that colourful brochures prove nothing when it comes to looking for a training provider; recommendations and client testimonials really will be the most important tool that you can use in this process. How Do You Increase Training Return on Investment? Employee development and training are crucial elements in the operation of all businesses, who are increasingly turning to external providers to meet their training needs. Yet in these current times of economic difficulty, when companies cannot afford to waste a penny on ineffective training, how can you be sure that your provider is giving you the high return on investment that you need? Whether you are a training manager or with responsibility for HR, this FREE Guide To Managing Training Company Selection will provide you with tips and techniques to increase your training return on investment. It’s really a great and insight full article on T&D . I would like to have article on training pricing.